Charnwood Road Baptist Church is situated almost at the bottom of Charnwood Road, very near to the Bull Ring in the middle of Shepshed, which is about 1¼ miles from Junction 23 on the M1. From Junction 23 turn onto A512 towards Ashby-de-la-Zouch. At 2nd set of traffic lights turn right onto Charnwood Road and drive almost to the end of Charnwood Road where you will find the church on your right. 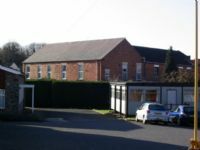 A car park belonging to the church is situated next to the Manse opposite the fish & chip shop. 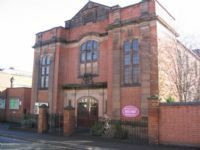 The current chapel was opened in this situation in 1834 and although our buildings are quite old, we do have a great deal of space and a good choice of rooms for holding different meetings. 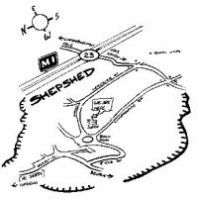 Most of the inhabitants of Shepshed live within a radius of 1½ to 2 miles from the church. 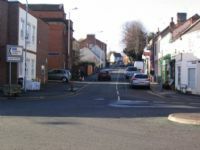 Charnwood Road is thought to be one of the oldest roads in Shepshed. 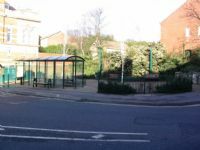 Charnwood Road began life as Charley Way and was nothing more than a track leading to the forest. The forest, in the very early days, came down as far as the Ring Fence. In the late seventeen hundreds when the Navigation canal was built, it crossed over Charley Way near to where the Anson Road junction is today and the original tow path is now a footpath leading to Leicester road. There would have been a bridge made on Charley Way over the canal and so the road became Navigation Road before finally becoming Charnwood Road.